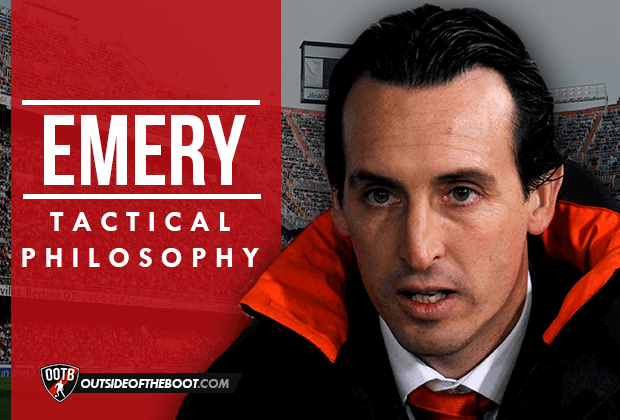 While this website has made its name focusing on the lesser known youth of this beautiful sport, and combined it with a tinge of tactical flavour meant for the football enthusiast, we found a large gap to be exploited in terms of combining the two. This mini-series thus focuses on young managers (below the age of 45) and their tactical philosophies, deriving what got them here and where they could go. In this piece, Constantin Eckner gives an in-depth insight into Dortmund’s new boss – Thomas Tuchel. Thomas Tuchel is one of these new up and coming coaches who never played at the highest level. He grew up in a tiny Bavarian town named Krumbach near Augsburg. At the age of 15, he joined FC Augsburg where he won the German youth cup twice in 1991 and 1992. Finishing his youth career, Tuchel signed for the second-tier side Stuttgarter Kickers. 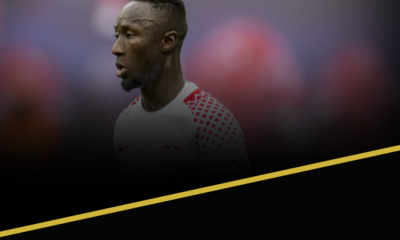 However, having made 8 appearances during his first professional season, the second season at Stuttgart was a disappointment, as he was dropped from the first team. Afterwards, he joined the Ralf Rangnick-coached SSV Ulm in the third division where he played in 69 matches for the Swabians in 4 years before ending his active career due to a chronic cartilage injury in 1998. Parallel to his career as a footballer, he started an apprenticeship to become a physiotherapist, and he studied English and sports science, but had to stop due to double workload. After finishing his footballing career, he graduated with a diploma in business economics. In 2000, Tuchel started to coach the under-15 team of VfB Stuttgart. He became the assistant coach of the club’s under-19 team 4 years later. The following year they won Germany’s under-19 championship, while Tuchel left the club after that season and returned to FC Augsburg where he was employed as head of their youth academy. Meanwhile, he also achieved the highest coaching degree from Germany’s football association. In 2008, he was named as new coach of Mainz’s under-19 team, winning the championship at the end of the first season. Only a month later, Mainz promoted him to the position as head coach of the first team. And the rest is history. When Tuchel talks about his philosophy of football, he mostly talks about Barcelona and Pep Guardiola. He does not enthuse about the likes of Iniesta and Busquets, though. But Tuchel admires the humbleness and dedication of these megastars, who do not consider themselves too good to run extra miles on the pitch to apply their typical Gegenpressing to regain ball possession. A clear characteristic of every Tuchel team is the use of aggressive Gegenpressing in the opposing half. At Mainz, Tuchel asked his players to play long and quick through balls towards the target players up front. The forwards either received the ball straight or went immediately into Gegenpressing mode. Particularly, great passers like Andreas Ivanschitz and persistent runners like Elkin Soto were vital to his system. Tuchel does not need much time to impart his ideas. 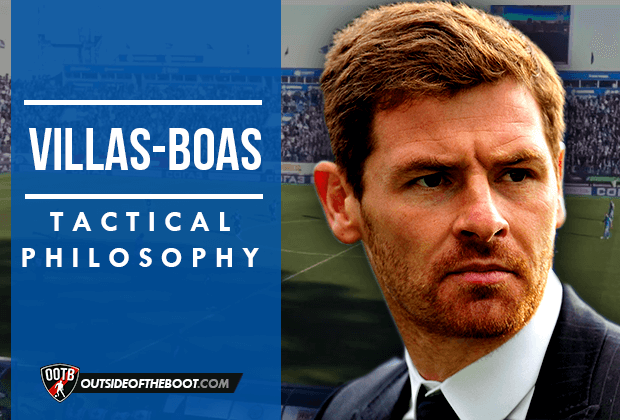 He is able to lead young players, to teach complicated tactics and to develop certain styles of play. However, when he acceded to the head coach position of Mainz’s Bundesliga team, he was aware of the weak points the players had at that time. Tuchel started by creating easily understood strategies. He basically reflected the opposing formations – that means he fielded a 4-1-4-1 against a 4-2-3-1 or a 4-1-3-2 against a 4-1-4-1, using strict man-orientations. Later, the 4-1-3-2 gradually became his favorite system, partly going off the idea of mirrored formations. The midfield diamonds have well-known strengths and weaknesses. Four central midfielders can control the middle of the park and out-number the opponent near the ball. Normally, the full-backs have to deal with a lot of free space in front of them but Tuchel was able to make certain adjustments, so that the central midfielder – inside left or inside right – near the opposing full-back, who carried the ball, would quickly move towards that particular full-back, who then could not use the free space on the outside lane. Meanwhile the number ten was asked to keep both opposing central midfielders busy, which required great fitness. adjusted the midfield diamond, so that Mainz could defend the putatively exposed wing spaces. One of Tuchel’s strong suits is that he can readily react to the tactical set-up of the opponent. His success does not depend on the availability of his eleven best players. He often leaves some of these players on the bench, sacrificing them for the purposes of his match strategy. Even great talents such as André Schürrle were sometimes side-lined when they played under Tuchel. Frequent rotation helped as almost every player evolved in some aspects – particularly tactical ones – of the game. Throughout the last years, Tuchel has become a coach who is highly revered for a reason. Especially his pre-game preparation stands out. Using information gathered on the other teams by extensively watching video material, he regularly changes formations and details regarding group tactical set-ups. Moreover, this approach does not end when the referee blows the opening whistle. During the ninety minutes, Tuchel shows his inner Guardiola, effortlessly changing formations and individual positions taking the course of the game into account. 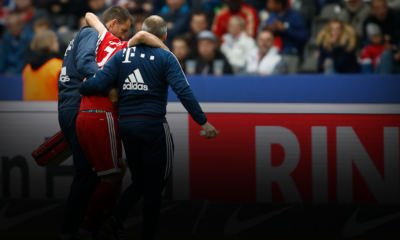 Particularly the clashes with Bayern Munich unleashed Tuchel’s very best, as his teams carried the superior opponent to the limit on multiple occasions. For instance, he utilized a pentagon (5-2-2-1) as Mainz lost 1-4 at Allianz Arena in October of 2013. However, the match itself was not that decisive. Tuchel clearly attempted to lower the pressure in the middle, where Bayern usually could pass the ball quickly and accurately. 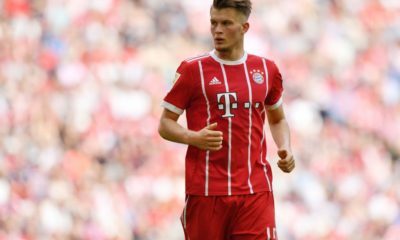 Thus, Mainz was able to lead Bayern’s build-up play to the wings, and afterwards situationally overloading the wide areas when a left or right centre-back joined a full-back to defend the attacks there. Furthermore, some of the midfielders moved towards the ball to narrow the space around the ball carrier and win it back. On the break, one of the pivots then pushed forward joining the fast-running pack up front. 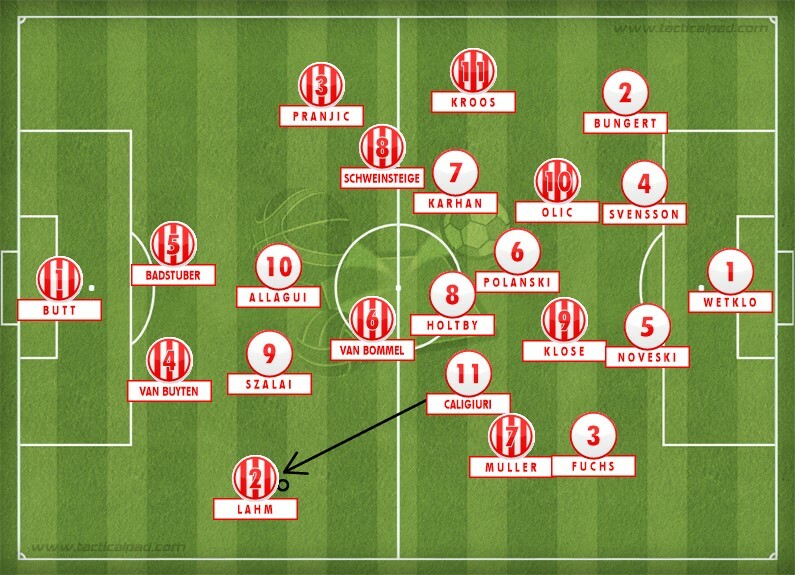 However, as good as that strategy was, Bayern found holes in Mainz’s game. 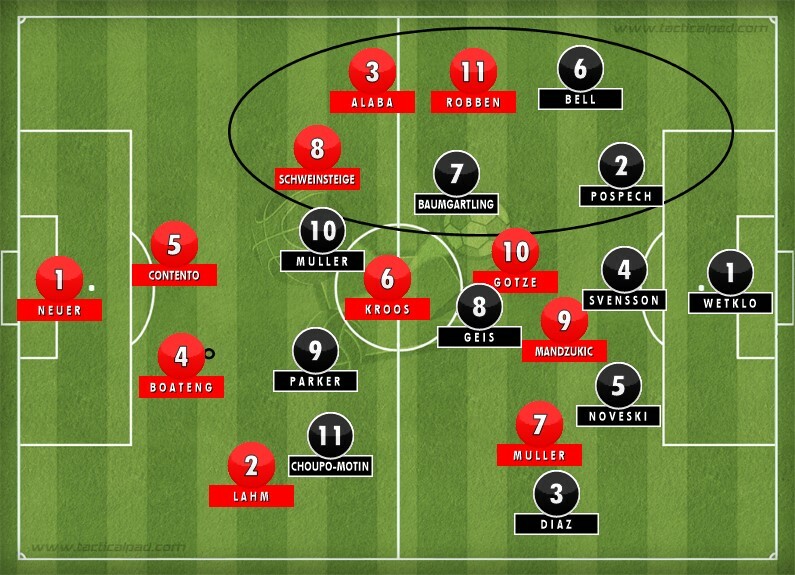 Munich overloaded the deeper half-spaces with emphasis on exploiting the lack of pressure in those zones. Mainz’s central midfielder near the side did not have the nerve to leave his position, so that Bayern could easily circulate the ball and Mainz’s defence was overrun. Tuchel is quite impressive, but not perfect yet. Bayern Munich 4-1 Mainz 05 on October 19, 2013: Guardiola beat Tuchel. Bayern overloaded the deeper spaces against Mainz’s 5-2-2-1 shape. Another formation he regularly uses is the 4-1-4-1 we have seen in his first pre-season friendlies with Borussia Dortmund. After Jürgen Klopp had left the club, Tuchel’s challenge has been obvious. He has to rebuild Dortmund’s ball possession game, since Klopp’s motto of ‘Gegenpressing as best playmaker’ has not worked out lately. In the first pre-season matches, we could observe a calmer ball circulation and a lack of pointless long balls which had forced Dortmund into physical battles during the last seasons. The concept of the build-up play is easy to describe: Firstly, the ball has to move to the lone central midfielder who then plays one-twos with one of the two attacking midfielders (number eights) in front of him. After winning a bit of space, Dortmund starts to overload a flank, with the full-back approaching and one of the attacking midfielders moving towards the zone out wide, while the lone striker is filling the abandoned space in the middle. Of course, Dortmund is far from perfection at the moment, but Tuchel is again aware of the weak points, and he seemingly knows how to fix it. Pre-season friendly – Borussia Dortmund 6-0 Kawasaki Frontale: BVB overloaded the right half-space and wider zones, while Reus was moving back. Dortmund generated breakthroughs on the flank, playing cut backs afterwards to find Reus in the middle. Tuchel deeply hates long-line passes, especially when a full-back receives the ball and almost mechanically knocks it down the flank. Therefore, Tuchel changed the shape of the training pitch at Mainz. He cut off the corners and forced his players to move the ball diagonally. Just one of many little screws he adjusts over and over. An important aspect of Tuchel’s success as a relatively young coach has been his work on the training pitch and in the gym. He consistently consults scientists on different subjects. For instance, he has used medical findings revealed by the Mainz-based neuroscientist Wolfgang Schöllhorn to improve his training. Tuchel relinquishes drab fitness training, but experiments with complex training procedures with varying rules. The players had to get accustomed to training in different shapes and pitch sizes varying from rhombuses to circles, or 18m wide x 75m length and 30m length x 70m wide. His idea: pushing the players to their intellectual and mental limits, so that they cannot be overstrained when it comes to the competitive matches. 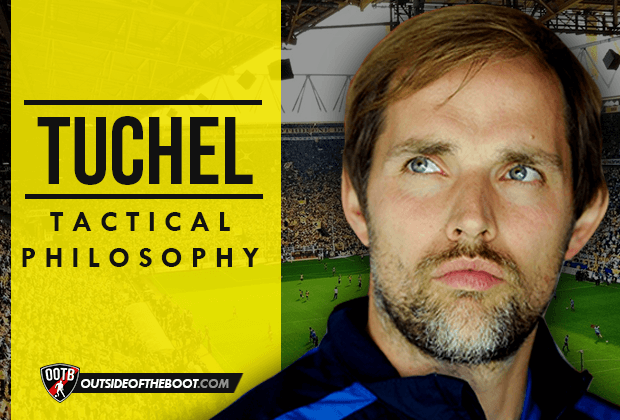 Tuchel is a true student of the game and an innovative character. Someone who does not play by the same old book, but who tries to write a new one. “I have missed more than 9000 shots in my career. I have lost almost 300 games. 26 times, I have been trusted to take the game winning shot and missed. I have failed over and over and over again in my life. And that is why I succeed.” Tuchel referred to Michael Jordan’s inspiring words after Mainz were dumped out of the UEFA Europa League to Gaz Metan Mediaș in 2011. Being the clear underdog against Dortmund’s under-19 team featuring Mario Götze, Tuchel out-coached BVB and Peter Hyballa. He won the 2009 German youth championship with Mainz 05 in the final against his new club, being prepared like no one else. His ‘match plan,’ a term Tuchel has used a lot to describe his approach to frequently adjusting to the opposing team, was unbeatable that day. “You have to be courageous, no need to hide from anybody,” Tuchel had said before his team left the locker room, being fully committed to beat Bayern Munich. On August 22, 2009, Tuchel gained three points against the powerhouse of German football in his third Bundesliga match. For the first time on the grand stage, he suggested what he is capable of. One of his career defining matches is still ahead of him. When Dortmund will face Borussia Mönchengladbach on matchday one of the upcoming Bundesliga season, it could be the milestone of a new era at the Signal Iduna Park. Being part of the so-called ‘Bruchweg Boys,’ named after the old stadium in Mainz, André Schürrle made his breakthrough under Tuchel’s guidance. Tuchel and Schürrle had known each other very well from the years in Mainz’s youth section before both moved up the ladder. Schürrle’s agility and speed perfectly suited Mainz’s counter attacking style, providing a constant threat on the break against most of the Bundesliga sides. Tuchel has not been known for having a preference for big target players up front. However, Ádám Szalai, a 6 ft 4 in tall number nine, played an important role during Tuchel’s Mainz years. But the truth is Szalai, who moved from Real Madrid Castilla to Mainz in early 2010, offers more strengths than just being a physical impressive forward. His tactical intelligence and agility for a man of his size made him almost irreplaceable when he left the club in 2013. Speaking of tactical intelligence, Andreas Ivanschitz became one of Tuchel’s exemplary students after joining Mainz at the same time as Tuchel. 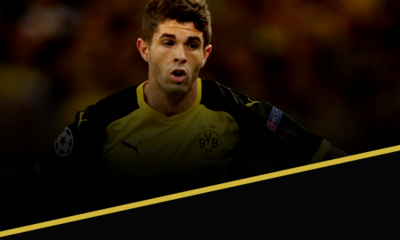 The Austrian midfielder has combined technical precision with great vision and a nose for goals. Curiously enough, after playing 104 matches, scoring 22 goals and assisting 18, he had to leave Mainz, as his contract had not been extended. Constantin Eckner is editor for the tactics blog Spielverlagerung. He writes mostly on Bundesliga, Premier League, La Liga, Serie A, Major League Soccer, and South American football with contributions to various English and German sites.